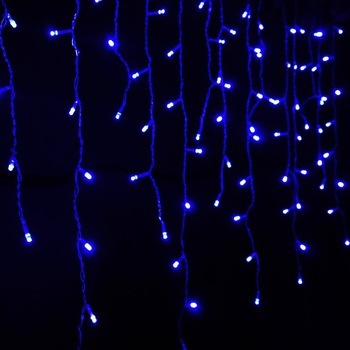 is without lights, of which variously long pieces hang down, which are equipped with LEDs. fence, garden. 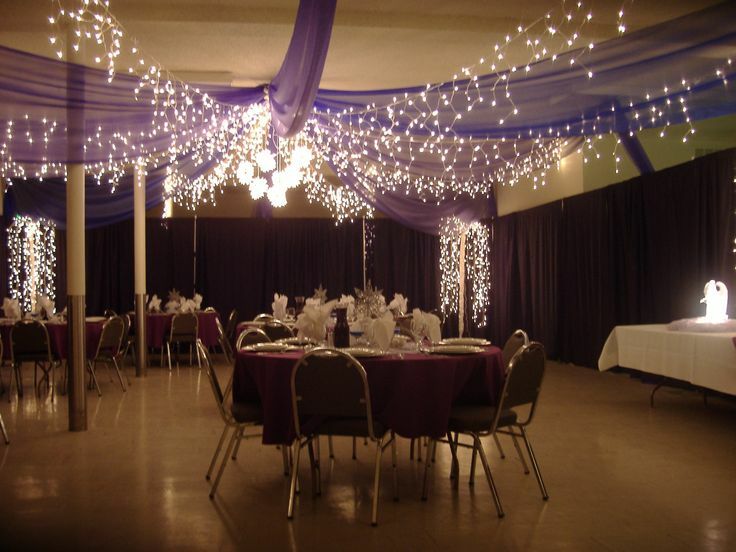 The light chains are popular for wedding lighted backdrops and illuminated exterior street decoration. IP44 & IP65 for selection. 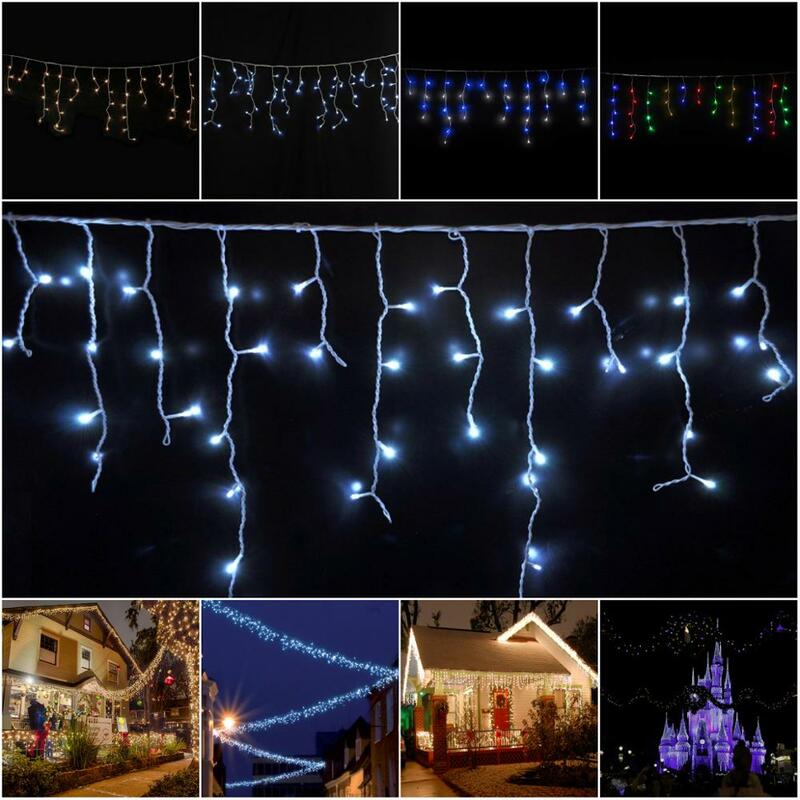 LED and drop spacing can be customized. Can be with remote control if needed. Remote control function: on/off, 8 modes options, timer function. 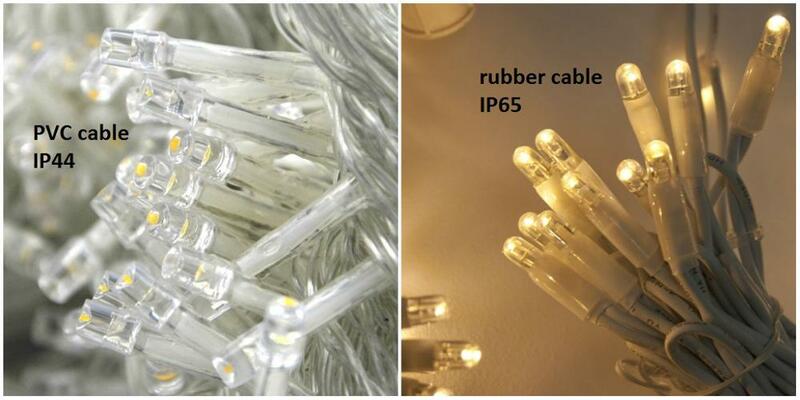 We manufacture and customize the light chains in any different specifications. Cable color: white, clear, black, green. 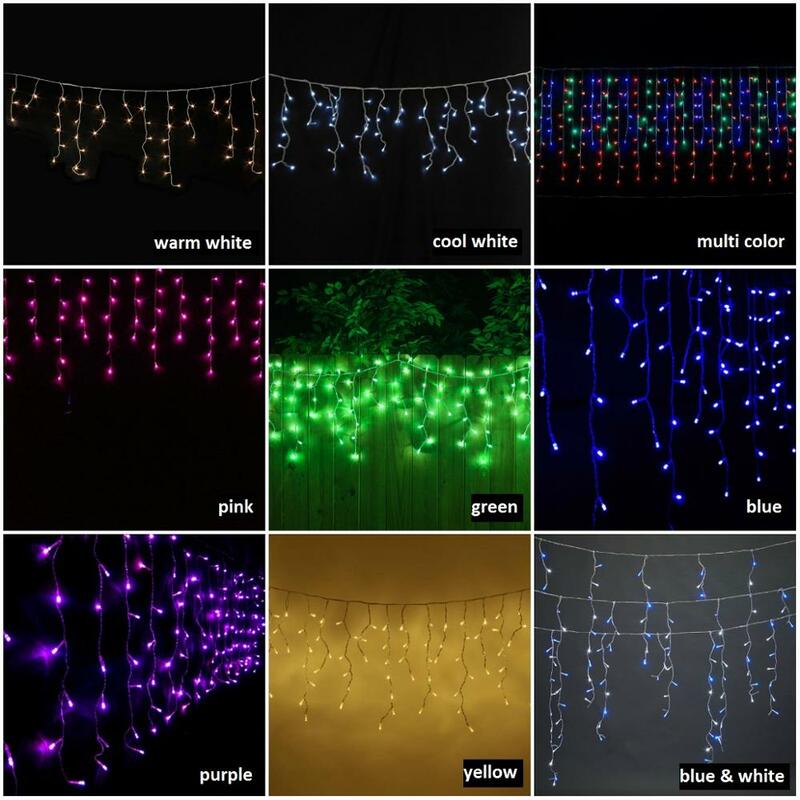 Light color: white, warm white, multi color, RGB, blue, pink, yellow, red, green, etc. wire wrapped with tough rubber cable. 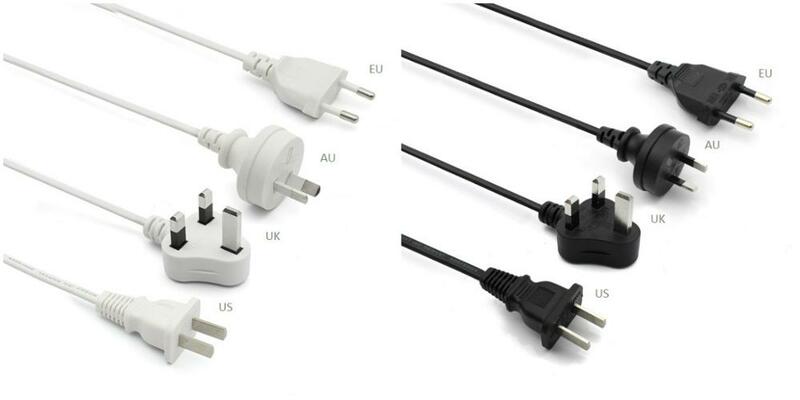 sets are driven by one plug. What's the options of light function? 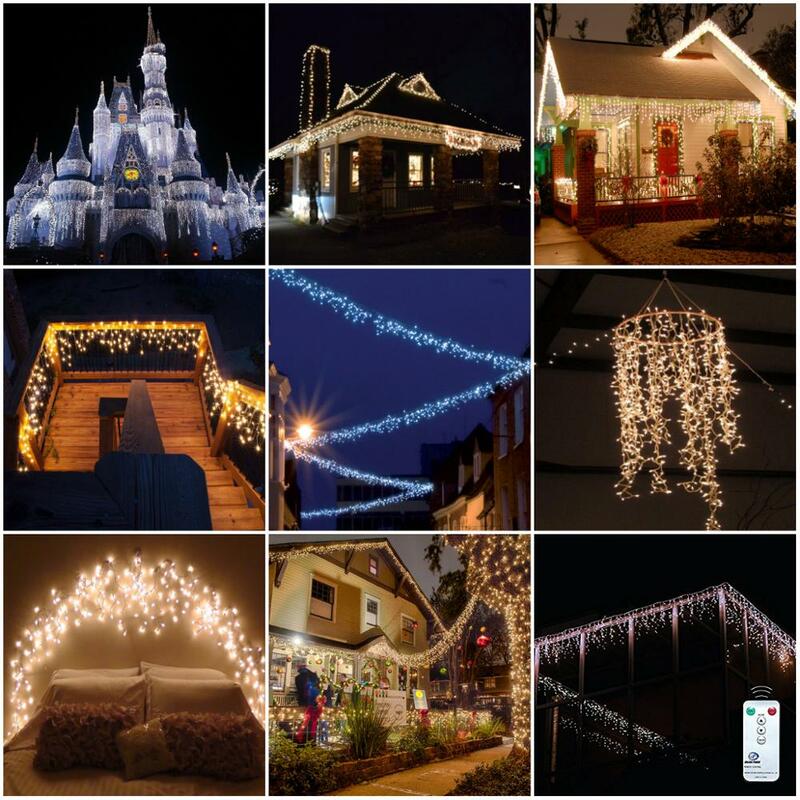 Static light, FlashMotion, SnowMotion, 8 modes with controller. 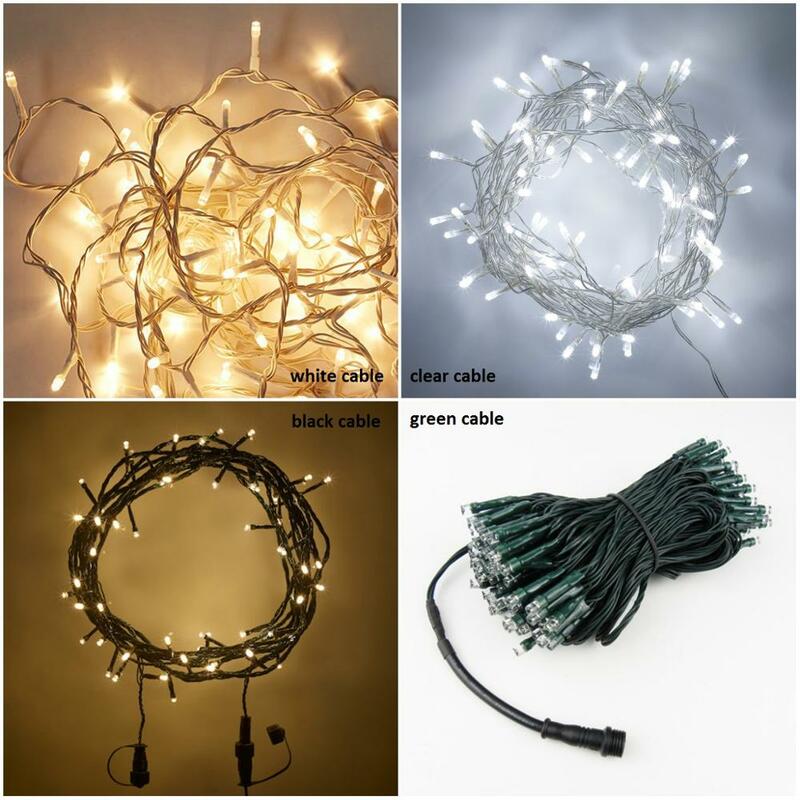 How long is the wire from plug to the nearest LED? Normally 3m long, but can be customized. What's the options of cable color? Clear, white, black, green, etc. What's the options of voltage and plug? EU/US/AU/UK plug. 220V-240V, 110V, 24V. 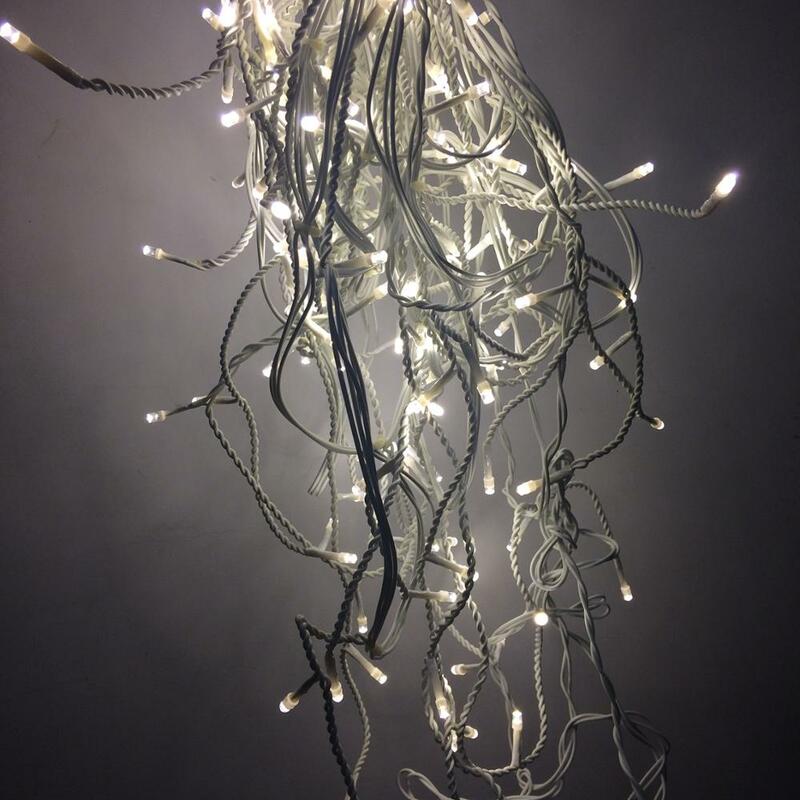 Are the light chains waterproof? Yes, waterproof for both indoor and outdoor use. IP44 is okay for outdoor use. IP65 is available, too. 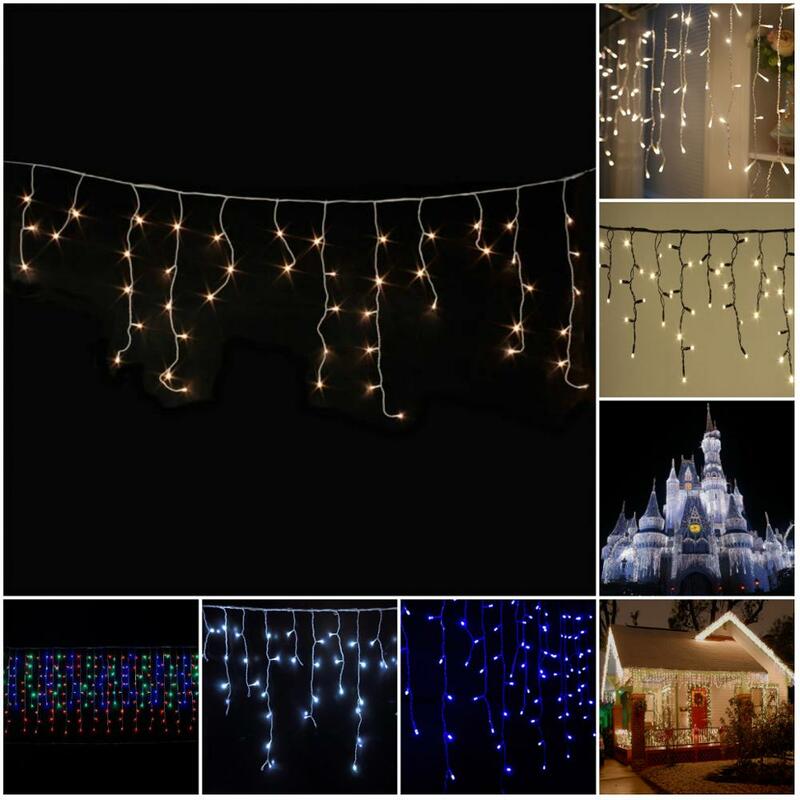 How many options of power supply for the light chains? Mains powered; mains powered with remote control. Remote control function button: on/off switch, 8 modes switch, 6 hours timer. 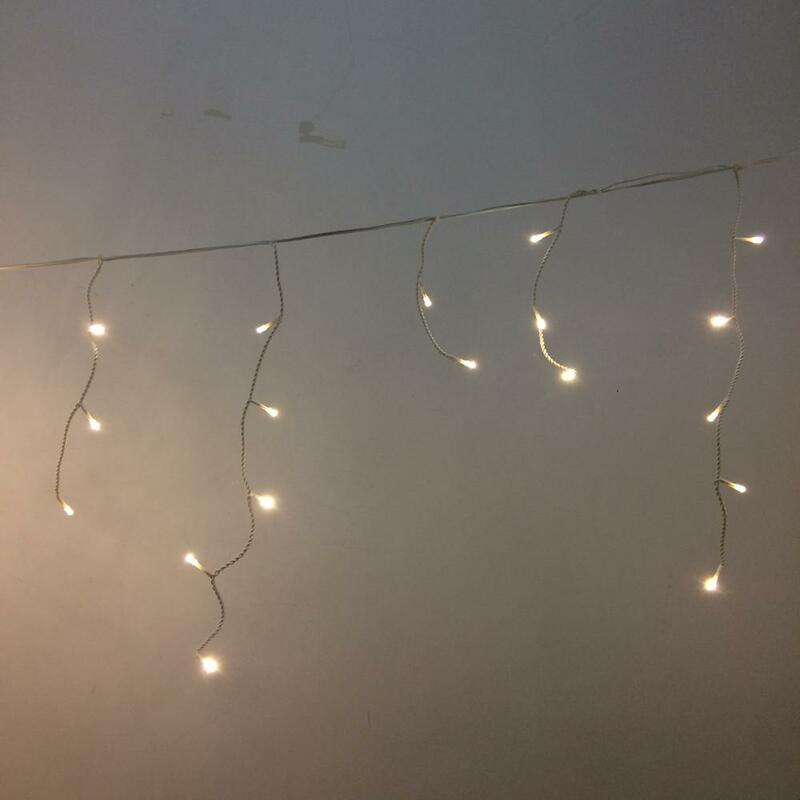 How can I chain these lights together? Each set come with male and female connectors, just put them together. Depends on current production and your shipping & use schedule.